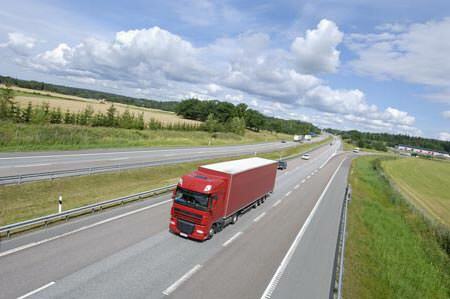 Driver CPC Training is compulsory for drivers of all LGV and PCV vehicles everywhere in Europe. Professional drivers of vehicles over 3500kg must complete the training before September 2014 (PCV drivers before September 2013). 35 hours of training is required in every five year period to obtain the Driver Qualification Card (DQC). Participants must hold the appropriate licence. All drivers of LGV vehicles holding a category C, C1, C+E or C1+E licence at 10 September 2009, unless exempt. All drivers of PCV vehicles holding a full category D, D1, D+E or D1+E licence at 10 September 2008, unless exempt. Driver CPC is short for Driver Certificate of Professional Competence. It is a qualification that all professional bus, coach and lorry drivers need to have if they want to continue to drive professionally. This means drivers have to complete 35 hours of periodic training in every 5 year period. Driver CPC came in to affect from September 2013 for Bus and Coach Drivers and from 10th September 2014 for Lorry Drivers (LGV). This initiative has been implemented throughout the European Union and is mandatory for everybody who wishes to drive for hire or reward. Who will Driver CPC affect? CPC will affect all professional drivers of lorry’s over 3.5 tonnes, buses, coaches and minibuses with more than 8 passenger seats unless they qualify for an exemption. Can I work as a driver without a Driver CPC? No, unless in exempted circumstances or you are following a National Vocational Training Scheme. Who is exempt from Driver CPC? *An example of a driver under exemption (iv) (also known as 'incidental driver') would be a brick layer who drives a load of bricks from the builder's yard to the building site and then spends their working day laying bricks. In this case, driving a lorry is incidental to their main occupation. Drivers can move in and out of an exemption, depending on the circumstances in which they are driving. For example, a bus mechanic would be exempt while driving a bus to check that it had been repaired, but would need to hold a Driver CPC if they also drove a bus on a passenger carrying service.